Previously we discussed Time and Effort and how they're used in Codebase as part of the Agile methodology. 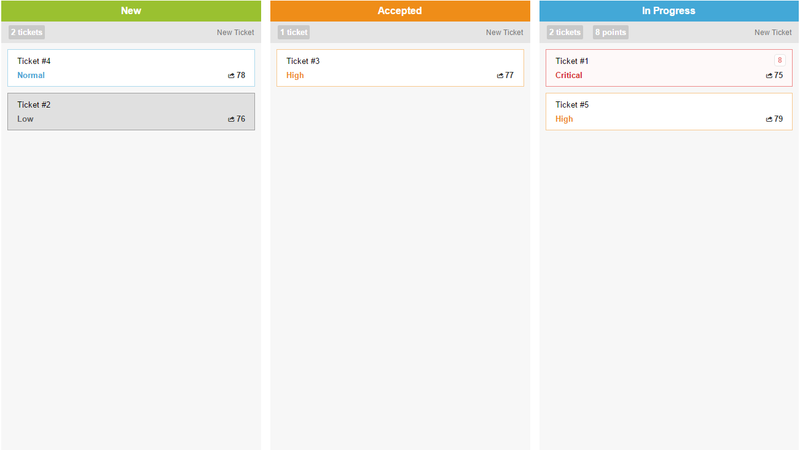 To finish, we'll be talking about the Kanban Board, a central place to see all tickets within a project or Sprint. In Agile development, the Kanban Board is a central hub from which a team can view all tickets in their current state and see at a glance the amount of work that's left to complete. Traditionally teams might create a physical Kanban board using post-it notes across hand-drawn columns that represent each ticket or task status, then move the post-its across the appropriate columns when the described task has changed status; for example going from New to Accepted. 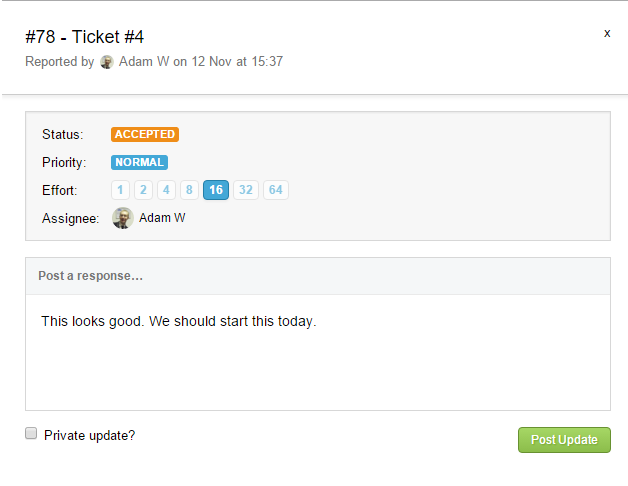 Codebase allows you to both access and update tickets from your very own Kanban Board within the interface. You can actually generate a Kanban Board from any ticket view from within a particular project, but we'll look at doing so from within a Sprint below. To start, navigate to your chosen Sprint, then click the Kanban Board button just above and to the right of the Burndown chart. You'll now see a high level view of all tickets in the Sprint, ordered within each status column by their priorities with the highest showing first. The order of the tickets can be arbitrarily changed to any order you wish and dragging tickets across columns will automatically update their statuses. Clicking on any ticket will load a simple form to the right hand side of the board, allowing you to update its status, priority, effort or time, assignee and finally add a comment. When making these changes, you and anyone else viewing it will see the update in real-time on the Kanban Board. Finally, you'll see a series of options to the left of the board that allow you to filter tickets by Assignee, Priority or any tags that have been added to your tickets. Selecting certain filters will update the view in real-time. We hope that these last few posts have helped to introduce you to the Agile features in Codebase, but please drop us an email if you have any questions.